My posse subsided into appropriately jealous murmurs. My mother got Christmas Eve and Christmas morning the first year. But the second year, she only had us for the 23rd and the morning of the 24th. Mom lived for the holidays – especially Christmas. The idea of not going caroling on Christmas Eve with us, not sharing in our anticipation of Santa, and not seeing her children open their stockings on Christmas morning must have been unbearable. So unbearable, in fact, that my mother created a new tradition. But not out of whole cloth. No, my mother borrowed from the best – the original Master of Magic, J.R.R. Tolkien. But don’t go thinking that our Christmas was suddenly overrun with orcs, hobbits, or Nazgûl. Oh, no. 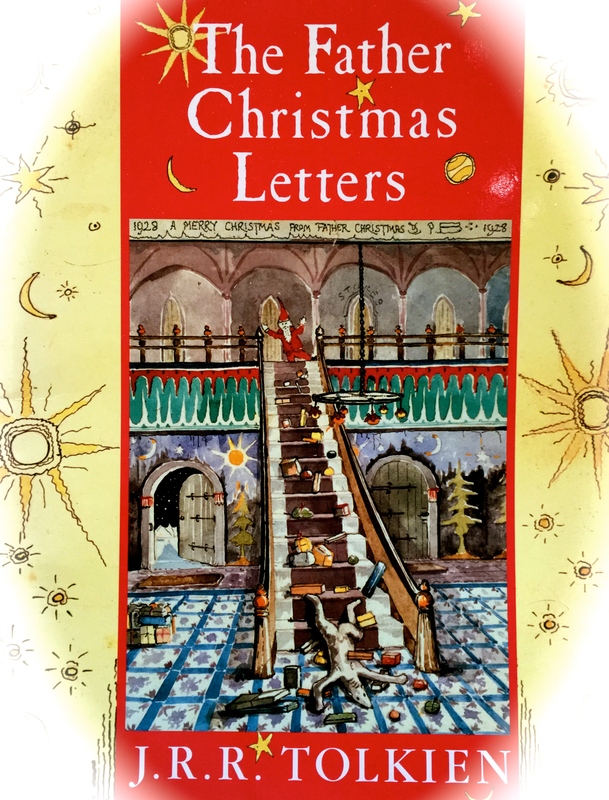 There is another, smaller, book by Tolkien that has been overlooked for decades: The Father Christmas Letters. 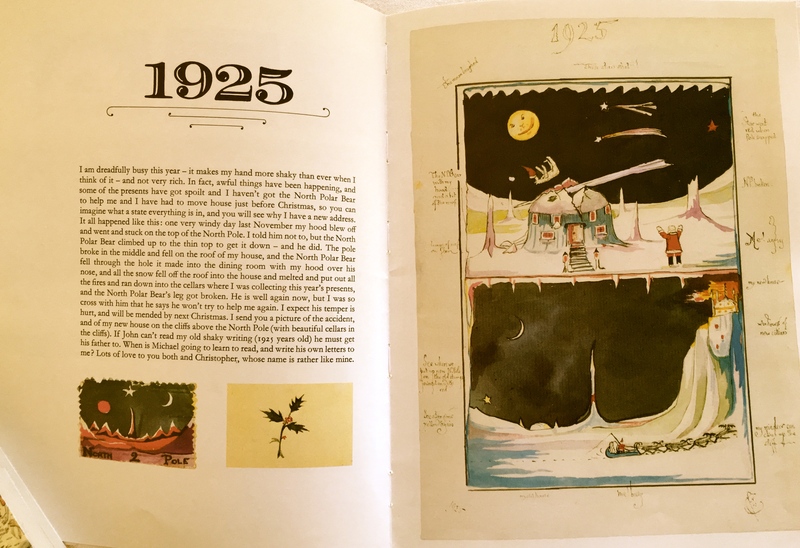 This book has the elaborate letters and drawings that “Father Christmas” left Tolkien’s children every Christmas morning. 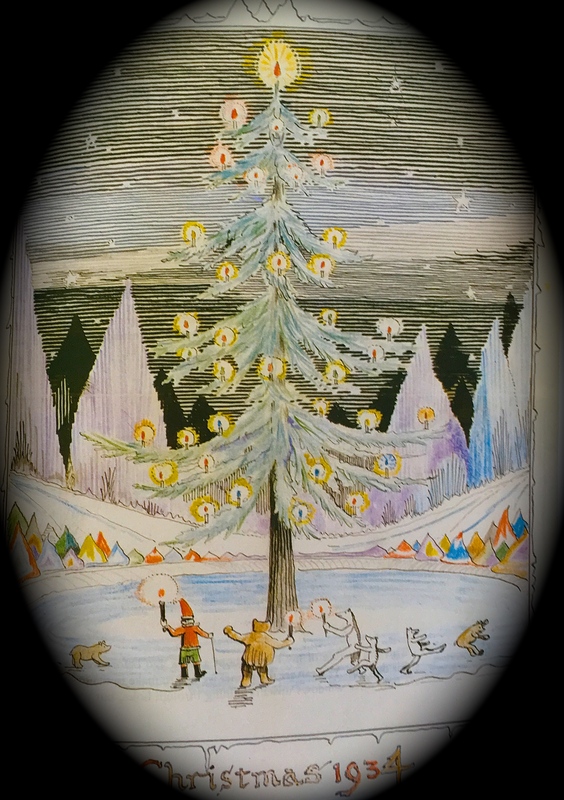 And though the book is miniscule compared to the Lord of the Rings series, The Father Christmas Letters contains Tolkien’s most epic character of all time: the North Polar Bear. The North Polar Bear breaks the North Pole. My mother read those letters to us on the evening of December 23rd. We were entranced by Father Christmas’s stories. There was the time his hat blew on top of the North Pole (an actual pole), and the North Polar Bear rescued it…only to break the pole in half and crash through the roof of Father Christmas’s house (which explained why some of the Tolkien children’s parcels might have been a little squished). Then there was the time that the North Polar Bear insisted on carrying too many presents down the stairs. He fell, of course, and that’s why some of the presents were smashed that year. We shrieked and laughed over his antics. The North Polar Bear wasn’t just comedic, however. We held our breath as he heroically beat back a goblin invasion two years in a row, killing “millions and billions” of the nasty, rat-like creatures that attempted to steal all the Christmas presents. …only to find a magical transformation had occurred. Piles of Christmas candy were scattered around the living room. Presents peeked out of our stuffed stockings. And a note, written in red pen and very shaky handwriting, had been left by the North Polar Bear. Filled with misspellings, the note informed us that we had been so good that he, the North Polar Bear himself, had been moved to visit us early. He had scattered “millions and billions” of candies and brought out the presents that our mother and stepfather had been saving for Christmas Day. The North Polar Bear returned every year. 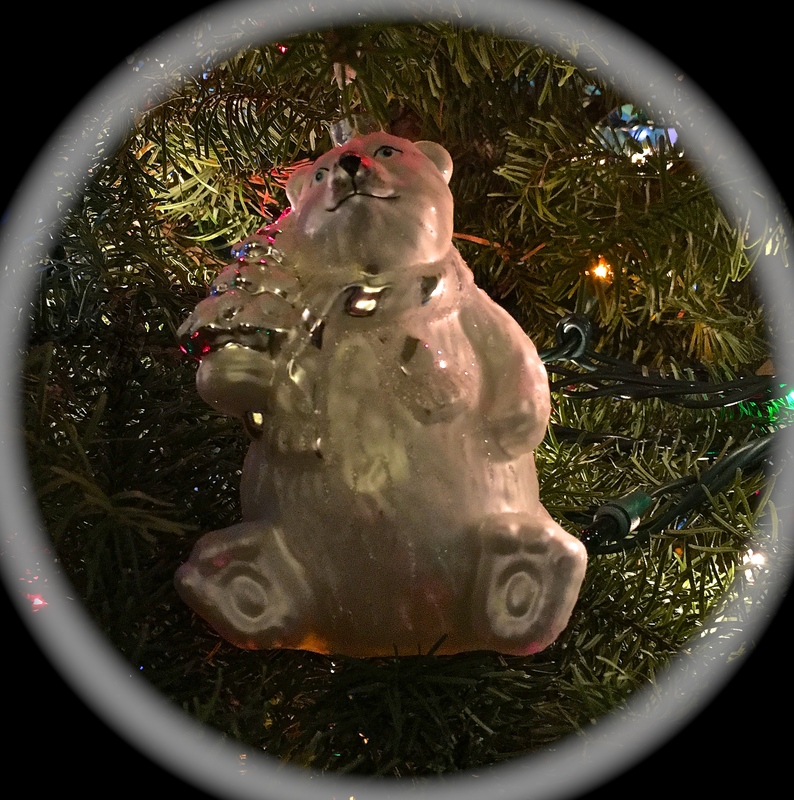 If my mother didn’t have her kids on Christmas, the North Polar Bear would visit a few days before Christmas while we were out of the house. The North Polar Bear always left a note (sometimes warning Future Genius Doctor Sister not to hoard all the candy), threw chocolate everywhere, and brought out our gifts early. If my mother had her kids for Christmas, the bear would visit on Christmas Eve, leaving his trademark mess of candy behind, along with the regular gifts from Santa. The North Polar Bear was too difficult to explain to our friends. Maybe he was so special we didn’t want to share. Or maybe we just didn’t want to face potential scoffing. 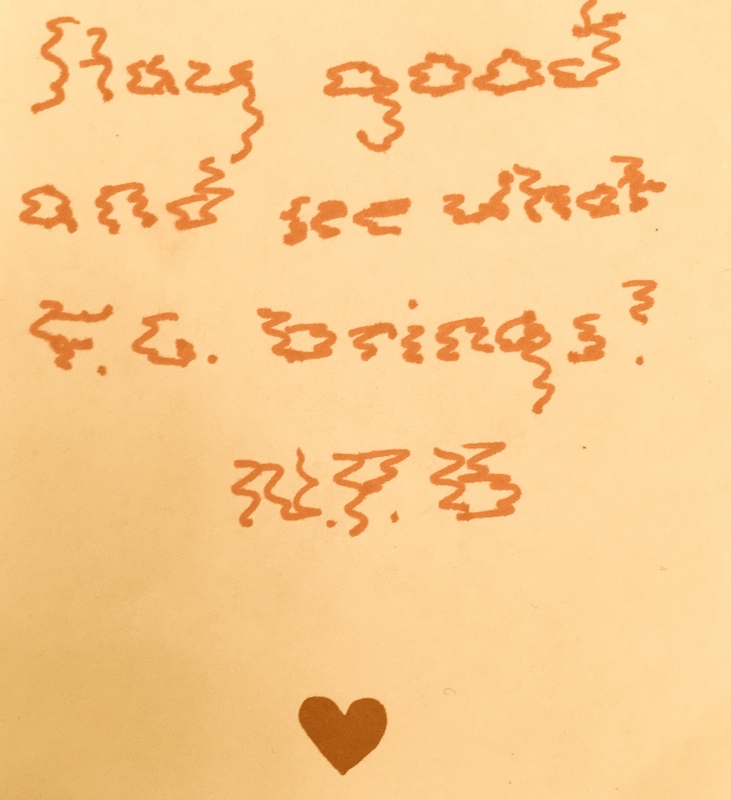 We kept him secret, though we looked forward to his visits every year, eagerly awaiting the chaos and the hilarious misspellings. We had the North Polar Bear for seven glorious years. But when my mother died, the magic died with her. Or so I thought. For fourteen years. Your Mom must have been something. I admire her creativity at holding onto traditions, adjusting as necessary. She left you far too early. I also think your siblings should consider gmail accounts with your descriptions — like judgementalgeniusdoctorsister(Replace this parenthesis with the @ sign)gmail.com That would be so cool except for all the time it took to type it! She was something, especially at the holidays. And while we did lose her far too early, I feel lucky. I had her for almost 15 years, whereas my baby siblings lost her at younger age when it was far more traumatic (3 & 4). Much, much worse. Great story 🙂 You mom was amazing! Is there a second part? What happened with the Second Coming of the North Polar Bear? PS. I also loved the email addresses hahaha. NPB kept his word. Candy everywhere. 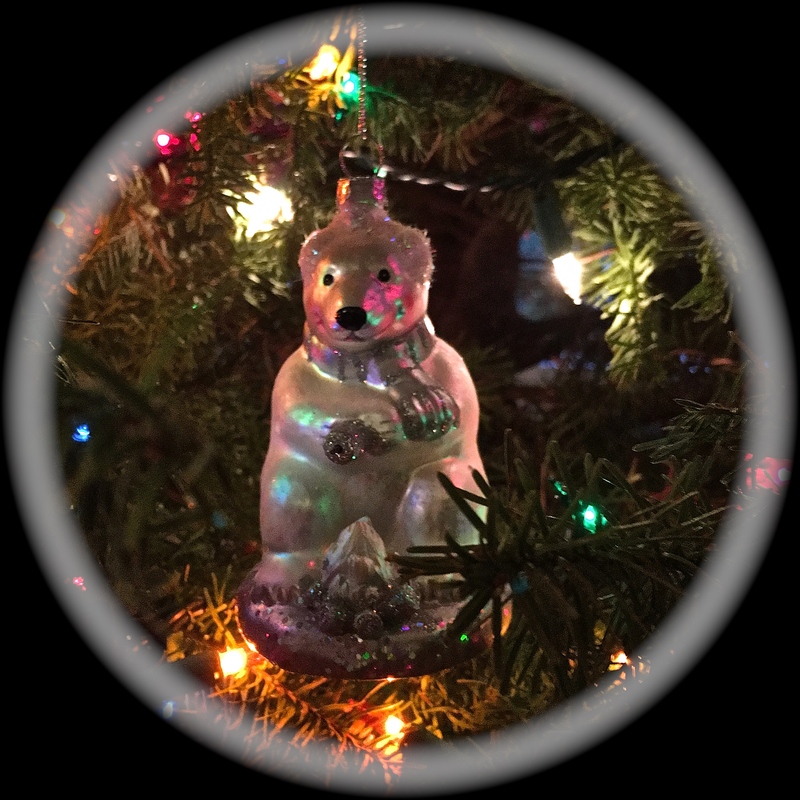 Funny ornaments, and a special gift for First Niece. And all was right with the world. Yeah, I had a little fun with the emails. Glad you liked them! I loved this story. Sounds like your mom took delight in Christmas traditions. Merry Christmas!! Thank you! Merry Christmas back at you! Aw, Autumn! Your mother is such an amazing woman! (basically, in my book, any woman that reads Toklien to their kids is pretty damn awesome). But the caroling, and the candies, and the note from the polar bear.. That’s what kind of stuff Christmas movies are made of. And damn your family is so accomplished! The rest of my life was more of a drama, but, yeah, Christmas belonged in an ABC Family movie or something. The best memories are Christmas ones. Oh, mass. Oh, my knees hurt just thinking about it! Merry Christmas, Mary! Oh my god. The North Polar Bear?!?! Somebody needs to start a new tradition. That is amazing and awesome. Your mom gets points for awesomeness and creativity, and 100 bonus points for reading Tolkien to you guys. The children in your family are going to have such a blast with the NPB tradition. Lucky things! Well, if anyone ever needs the North Polar Bear, I am sure he will show up. That’s what he does. Ditto! Did you and the buffalo celebrate in grand style? Maybe not grand as we just got back from a getaway, relaxing…it was nice. Thanks!